These 9 tips will help you climb to Arena 6/7 in no time. Many beginning players rely solely on experimentation, but with these tips, you will already have a good idea of what to do. Using these methods will give you a huge head start on other beginning players, letting you go up in trophies and get better rewards. There’s always more to learn, so read some of the other guides on the website, and don’t forget to rate us! Combos are the best way of dealing damage in the lower arenas. A good giant/bomber combo will ensure that your opponent’s defense will be wiped out in seconds. Playing a troop by itself is much more ineffective than if you play it with something that suits it. 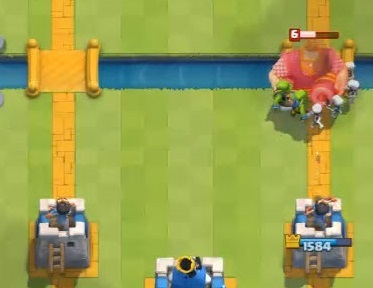 Some combos include Giant/Witch, Prince/Valkyrie, and Mini P.E.K.K.A./Bomber. My Miner/Hog/Mini PEKKA Deck. This deck has carried me to Legendary Arena, and there is a guide up on the site on how to use it. 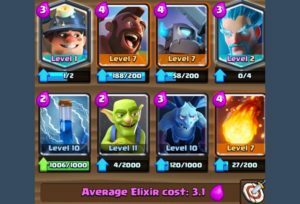 If you find your deck soon, you will not only grow accustomed to it, but you will also have higher level troops compared to your counterparts. The mistake many beginners make is frantically leveling everything. If you stick to one deck, you’ll be able to focus your gold and requests on troops that you will use. This is one of the most important parts of the game, and even legendary arena players struggle with it. Don’t rush out full force at the start of the game. Instead, conserve your elixir for a bigger push. 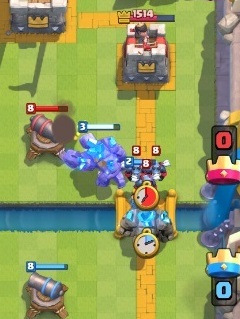 I always recommend placing your troop behind your king tower, so you’ll have more time to build up elixir. Never waste elixir. If you’re full at ten elixir, put a troop down immediately. You also need to monitor your opponent’s elixir. Know about how much elixir he currently has so you can be prepared to strike or to sit back and defend. 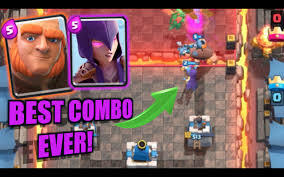 You have a huge elixir advantage? Push and destroy his tower. You’re behind in elixir? Sit back and defend. It’s not worth the risk. This includes gold, gems and chests. 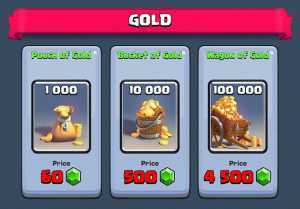 Many beginning players waste their gems on gold. This is not effective. Once you hit level eight, challenges are by far the best value for your gems, and you should spend all of your gems on those. Even if you lose three straight, you will still get more value than just buying gold straight up. Gold should not be wasted on upgrades that you don’t need. Make sure to only upgrade the troops you use. For example, don’t upgrade the baby dragon. It is not a good card, and as you progress, it will vanish from the playing field. Chests should be opened according to your sleep schedule. Most players open three to four silvers during the day, and one gold chest at night as to not waste any time. This is the most effective way of getting resources. 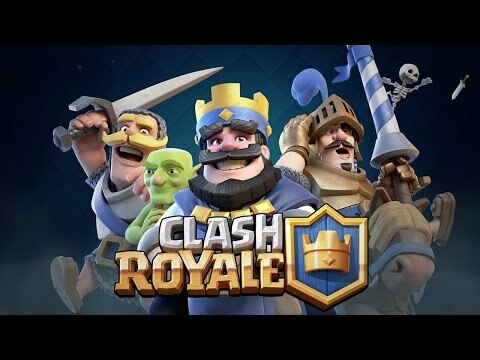 This is a big thing in Clash Royale. If you want to play this game seriously, you will have to get past all the tilt and emote spamming. 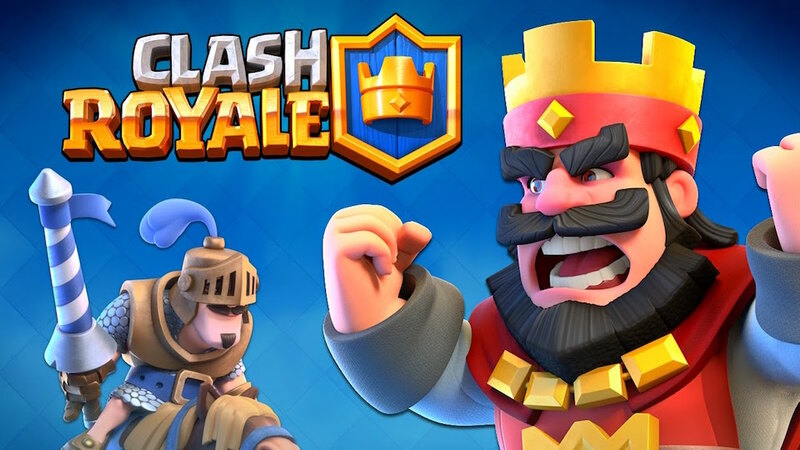 Clash Royale is one of the most frustrating games out there, and you will need to bypass this aspect if you want to win. Rage often clouds your thinking and leads to avoidable losses. Knowledge is always useful in Clash Royale. Study up on the game mechanics and the strengths and weaknesses of every card. Pretty soon, you’ll find that all the effort put into studying the game will come in useful when you face more skilled opponents. At the end of the day, it’s just a game, win or lose. Many people begin to lose sight of that and play like their life depends on it. That just makes you more stressed and leads to more mistakes. If you’re getting too mad, take a break. There’s plenty of other games out there that may be better for you. It’s not fun for anyone if you take it too seriously. 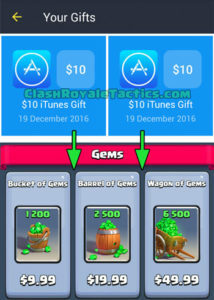 While gems are VERY expensive, there’s a better way to get them. 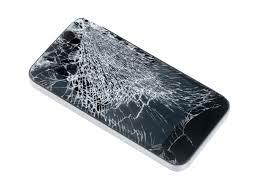 This method is completely risk free, easy, and fast. 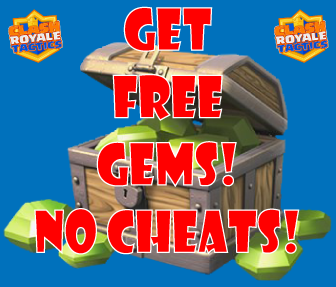 Read the complete guide on how to get free gems here. You install the FreeMyApps app, sign in with Facebook, and start earning points. For every 3000 points, you can get a $10 gift card on App Store or Play Store! Basically 3000 points = $10 = 1200 Gems! Conclusion: These tips will certainly help you in your quest to becoming a better player, and they will give you a good head start on your competition. There’s always more to learn, so practice and keep on studying. These tips are not very well known, and I assure you that you will become a better player if you try to incorporate these tips into your game.